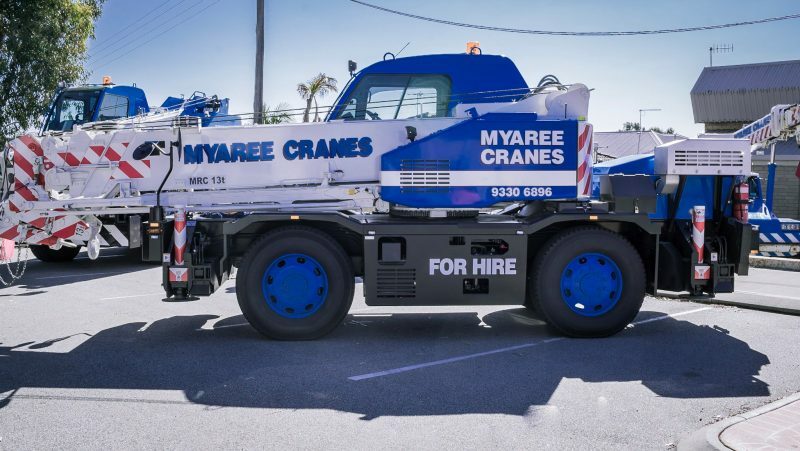 While many crane hire companies in Perth have a single Tom Thumb crane, at Myaree Crane Hire Perth we have four sizes to suit most requirements. Contact us for a lifting assessment and we’ll let you know which one will be best for your needs. Tadano rough terrain min-slewing cranes are also commonly known as Tom Thumb Cranes or City Cranes. Alongside the ability to roll over more or less any kind of ground out on site, slewing cranes are also able to zip in and out of awkward and restricted areas, while our 16T Tadano also lifts heavy loads with absolute ease. When it comes to adaptable and hard-hitting mobile crane hire, Tom Thumbs are hard to beat. City cranes like our 16T Tadano come with a telescopic hydraulic boo, giving you the reach you need for most lifting tasks.